Looking for adorable Elephant Favor Tags as part of your party decoration? How about one of a kind ones? Look no further, you find them right here. Elephant is so cute and popularly used as a baby shower theme, whether it’s for a baby girl or a baby boy. Elephant is also a great theme for first year birthday party of your precious one. When you are planning for a party, favor tags are on the top of the list. 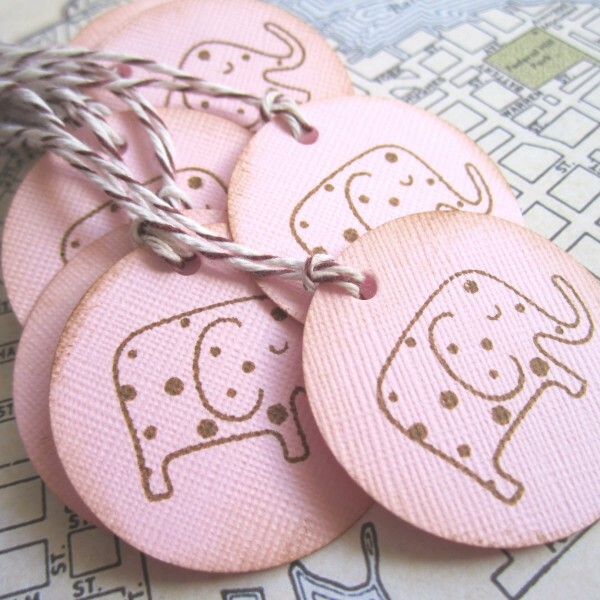 In this particular listing, you find a set of cute vintage inspired Pink Elephant Favor Tags, perfect for baby shower or little girl’s birthday party. 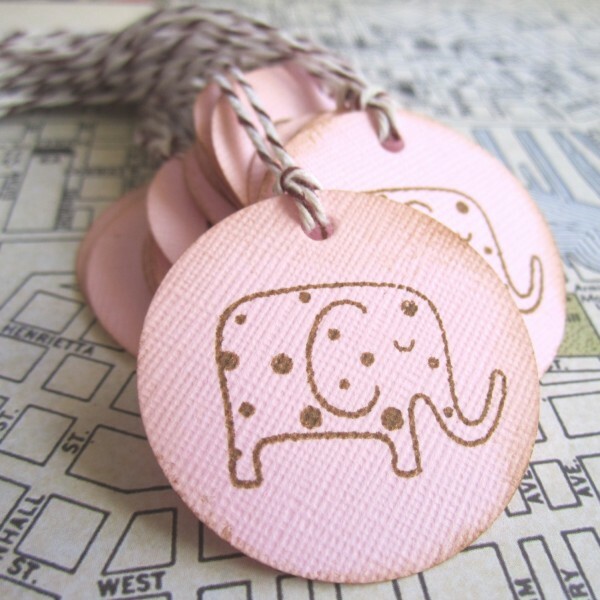 Each hang tag is carefully hand-stamped with adorable polka dot elephant. 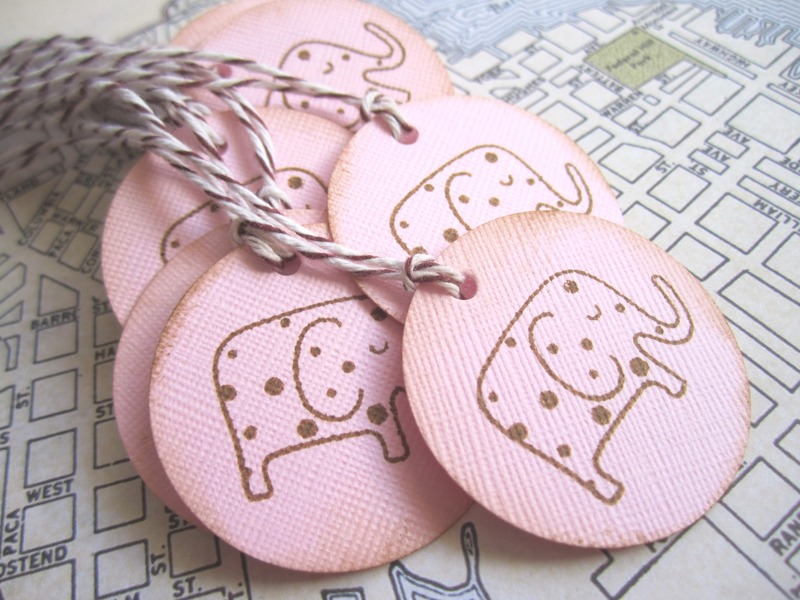 Each set has 12 (twelve) Vintage Inspired Elephant Favor tags in pink, adorned with a string for your convenience. All you need to do is to tie this tag to your favor/ gift. Other ribbon or strings maybe used based on availability. 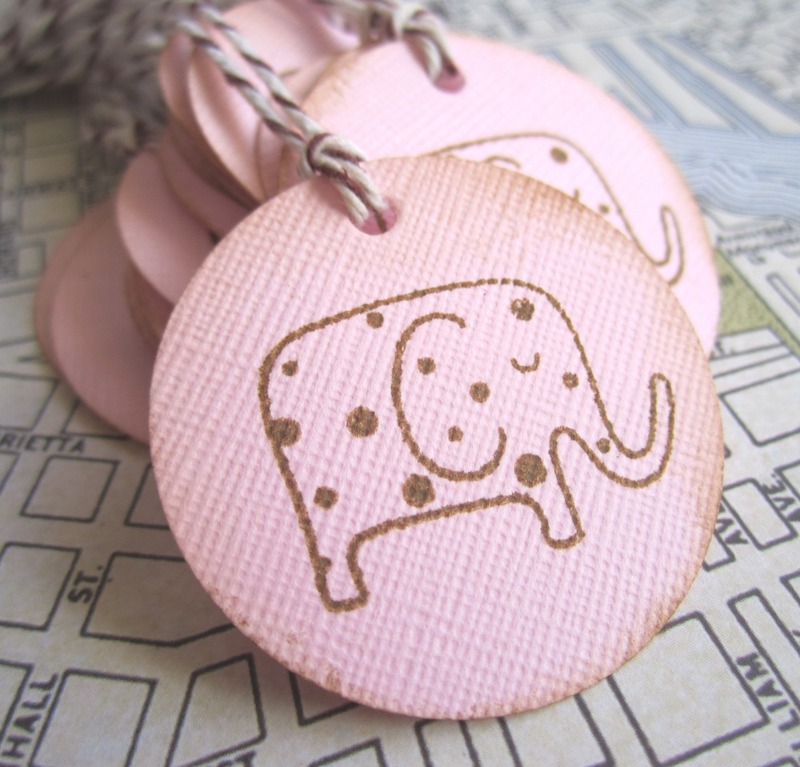 Each circle tag measures 1.5″ (3.81 cm), distressed to give a vintage feel and attached to a string. 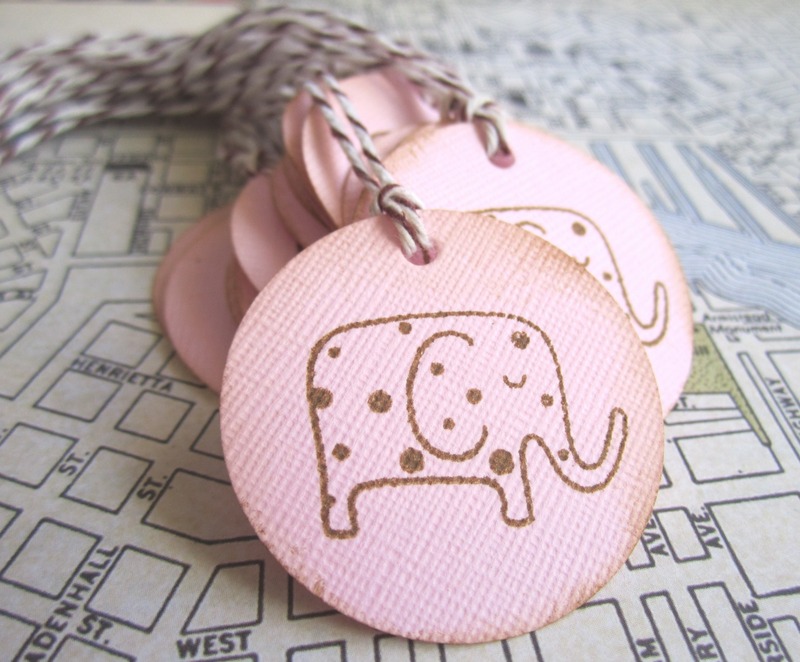 High quality textured cardstock in pink is used in creating these tags. 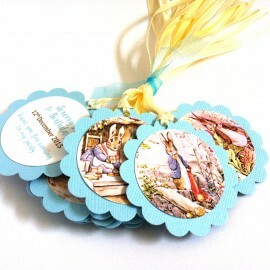 Do you need these cute tags in different quantity? Or are you looking for matching party accessories? 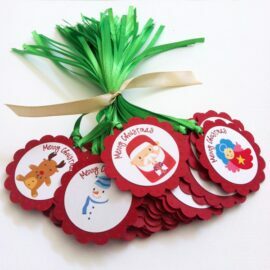 We can do cupcake toppers, thank you tags, wish tree tags, and wish tree instruction sign. Please use Contact Us form found on the top of the page. Want them in blue? 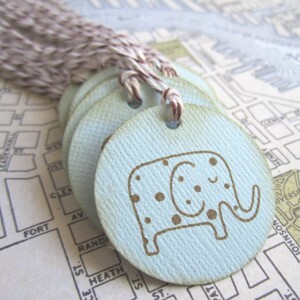 We have blue elephant tags available.